Working with the world’s most renowned and recognized hockey professionals, both players as well as trainers during his career, Anders has learned through first hand experience the focus, strong time management skills and team leadership necessary to to be a competitive and strategic player. Working well independently with one on one sessions or in a team setting, his reliable dependable nature and calm under pressure attitude allows him to always perform at his absolute best. Players like Steve Yzerman, Nicklas Lidstrom, Peter Forsberg, Sergie Fedorov, Bryan McCabe, Tomas Holmstrom, and Kris Draper, to name a few, will all agree with Anders foundation for success that “if you train the right way it will transition to Speed, Strenght, Agility, Stamina, and Focus”. With an intense passion for hockey, and his dedication and vision to perform at ones best on and off the ice, always striving for growth at every level of ones career, it is this which Anders will guarantee and pay forward to children showing them preparation and dedication, proper training and coaching will truly pay off guiding a child towards a long IMPACT PRO HOCKEY career in the sport we all love so much. Best game in the world. Joe Lisewski, a lifelong athlete with a passion for training has been coaching youth sports for many years. 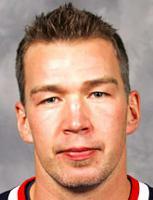 He is an avid competitive hockey player, Level4 USA Hockey Coach, and Fall 18 Peewee A Sharpshooters Coach. Joe has 3 sons and is familiar with the style and tasks necessary to train younger students. He takes much time and pride in development of kids in youth sports. Joe is originally from NJ where he grew up playing Ice Hockey, Football and Baseball. Impact Pro Hockey offers Hockey Training Tools, Hockey Skills Camp, Blade Treadmill Training, Off-Ice Hockey Training, On-Ice Hockey Training to athletes across Coral Springs, Parkland, Lake Worth, West Palm Beach, Fort Lauderdale, Davie, Pompano Beach, Sunrise, West Palm Beach, Delray Beach, Florida.